PM Netanyahu says Hamas terror plot to pursue suicide bombings, shooting attacks shows Israel must have full control of Judea, Samaria. Today’s revelation of a Hamas terror cell plotting a series of major attacks on Israeli cities and other targets is further proof Israel must maintain full security control over the entire area of Judea and Samaria, Prime Minister Binyamin Netanyahu said Sunday afternoon. The comments came following a report by Israel’s Shin Bet internal security agency, which revealed that a massive Hamas-led terror cell operating out of the Palestinian Authority- controlled city of Shechem (Nablus) had been arrested at the end of April while it was in the midst of planning a series of bombing attacks. According to the report Sunday, the cell included more than 20 terrorists, and was planning for a string of bombing attacks – including suicide bombings – and shooting attacks in Jerusalem, Tel Aviv, the town of Itamar in central Samaria, and other locations across Israel. In response, the Prime Minister said the revelation is further evidence of the importance of maintaining Israeli control over all areas “west of the Jordan”. 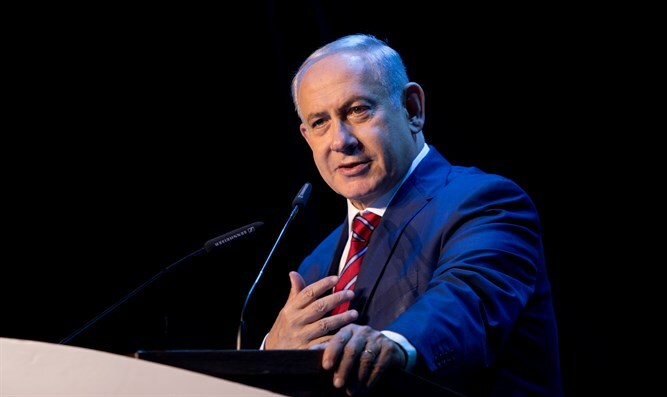 "The ISA, the IDF and the Israel Police have thwarted a Hamas terrorist cell that sought to carry out horrific attacks in Jerusalem and Tel Aviv, from Nablus in Judea and Samaria,” Netanyahu said in a statement. “Hamas is trying to attack us from both Gaza, and Judea and Samaria. This is why we will continue to maintain security control of all areas west of the Jordan River." According to the Shin Bet, the Hamas terror cell began operation in October of last year, and was led by 35-year-old Mutassem Nuhammad Salem and 33-year-old Fares Kamil Zavidi. Both men are residents of Shechem (Nablus) and long-time members of Hamas. Israeli security forces discovered the terror cell and arrested its members at the end of April. "This case again shows the desire and efforts that Hamas is investing in building terrorist infrastructures in Judea and Samaria in order to carry out severe attacks in Israel,” one Shin Bet senior official said. “This case also indicates Hamas' desire to carry out attacks against Israeli targets while undermining the current relative quiet. Severe attacks and loss of life have been prevented. We, along with our partners in the IDF and Israel Police, will continue to take determined action to thwart Hamas's murderous intentions. Infrastructure members will be dealt with to the fullest extent of the law.